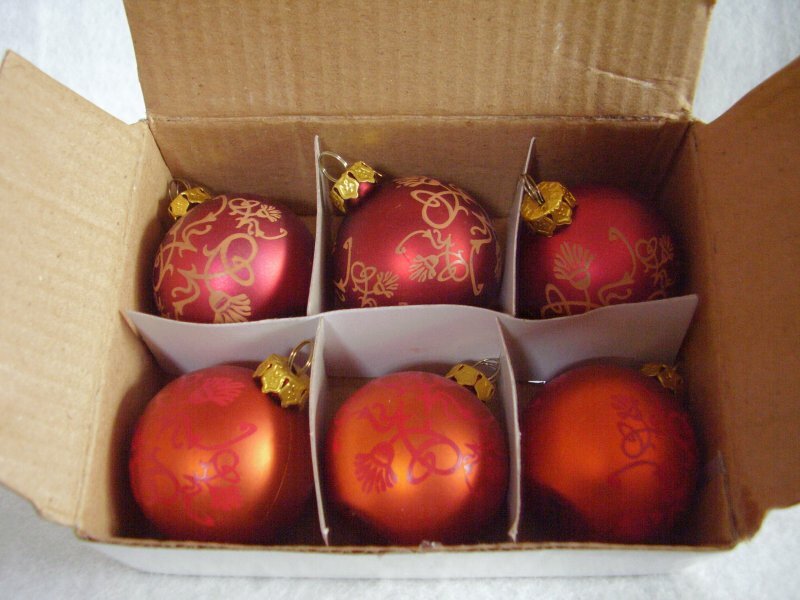 LBVYR lot of 6 mini plastic ornaments. Made in France. Three of them are burgundy color with gold colored decorations. 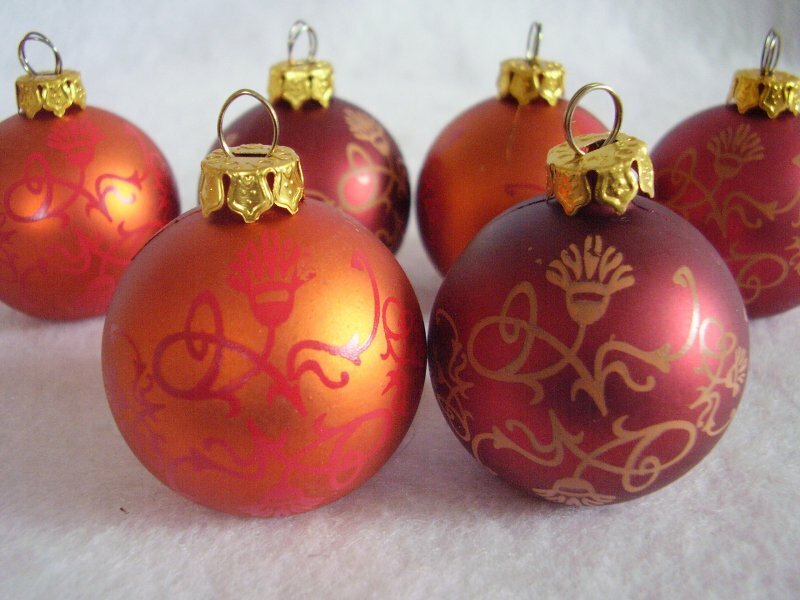 The other three are a burnt orange color with burgundy colored decorations. Each measures 1 1/2 inches in diameter. All have unmarked gold caps, all necks are intact. In gently used condition. There are no cracks, chips or breaks. 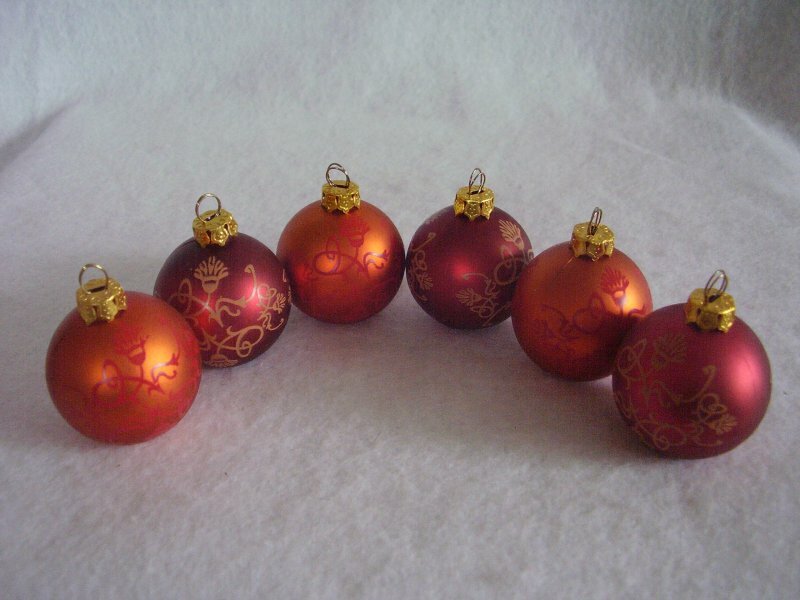 LBVYR lot of 6 mini plastic ornaments. Made in France. Three of them are burgundy color with gold colored decorations. 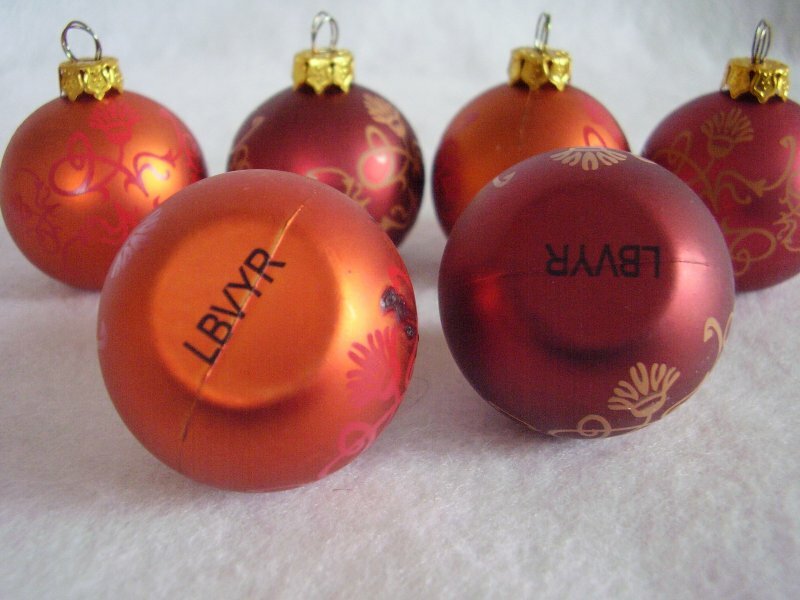 The other three are a burnt orange color with burgundy colored decorations. Each measures 1 1/2 inches in diameter. All have unmarked gold caps, all necks are intact. In gently used condition. There are no cracks, chips or breaks. There is a small black smudge on one ornaments that may be pine tar. Bottoms are stamped LBVYR in black. Comes in small box with dividers, don't believe it is the original.